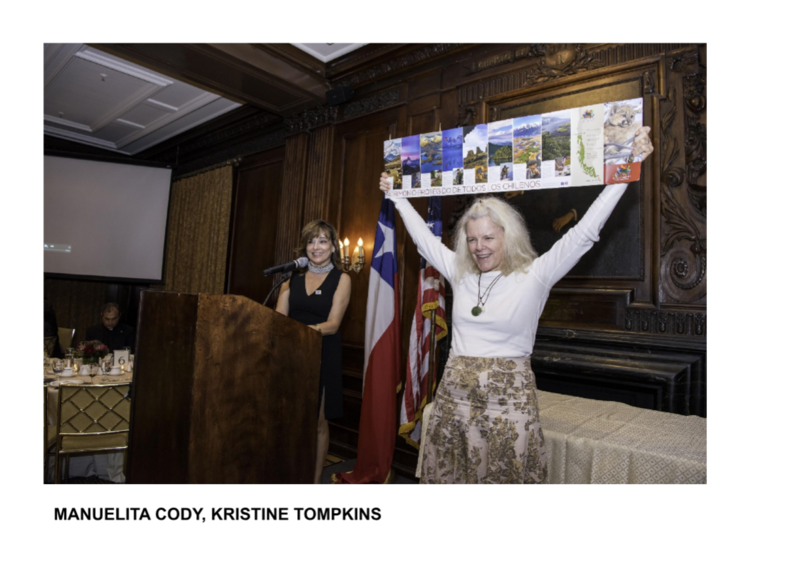 Kristine McDivitt Tompkins, President of Tompkins Conservation, was honored for her “Lifetime Contribution to the Wildlands of Chile” at the North American-Chilean Chamber of Commerce’s (NACCC) 100th anniversary celebration. Various authorities—such as the Ambassador of Chile in the United States, his Excellency Alfonso Silva Navarro, and Roberto de Andraca, former President of the CAP Business Directory—participated in this event, which took place on Wednesday, October 10, 2018, in New York City. The President of the NACCC, Manuelita Cody, led the event. 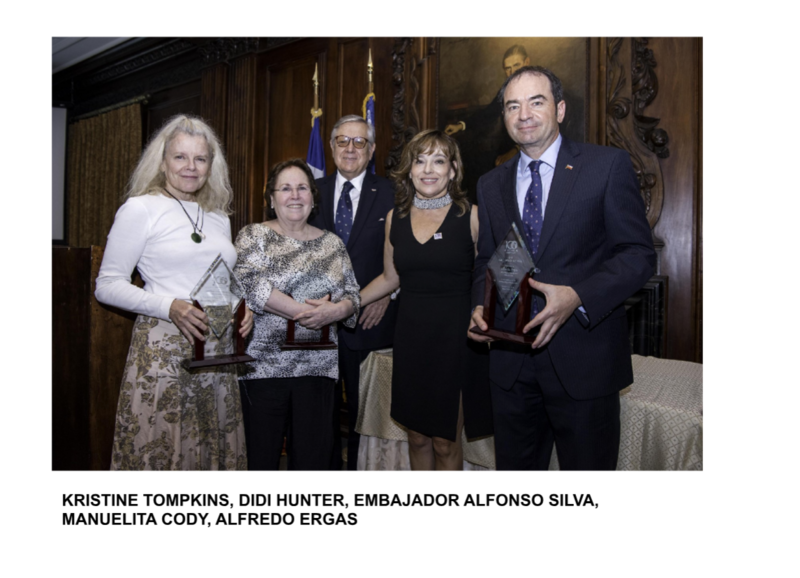 On this special ocassion, the North American-Chilean Chamber of Commerce paid special tribute to three individuals who have contributed to the relationship between Chile and the United States. One of them was Kristine McDivitt Tompkins, who was also the keynote speaker at the event. “I am very proud to receive this recognition on behalf of the entire Tompkins Conservation team. Chile is recognized worldwide for its conservation leadership, thanks to the tremendous public and private efforts that have allowed more than 20% of the country’s territory to be protected. We will continue to work on conservation in Chile and promote the Route of Parks of Chilean Patagonia,” said the philanthropist, who along with her husband Douglas Tompkins have helped create 13 national parks in Chile and Argentina through Tompkins Conservation.